This winter, OTN completed the first portion of this multi-phase project, successfully prepping and coating the second floor corridors and interior bowl seating area walkways at the Baltimore Arena. The Arena continues to operate on its full event schedule resulting in a challenging time-line and round-the-clock work hours for completing each phase of the project. 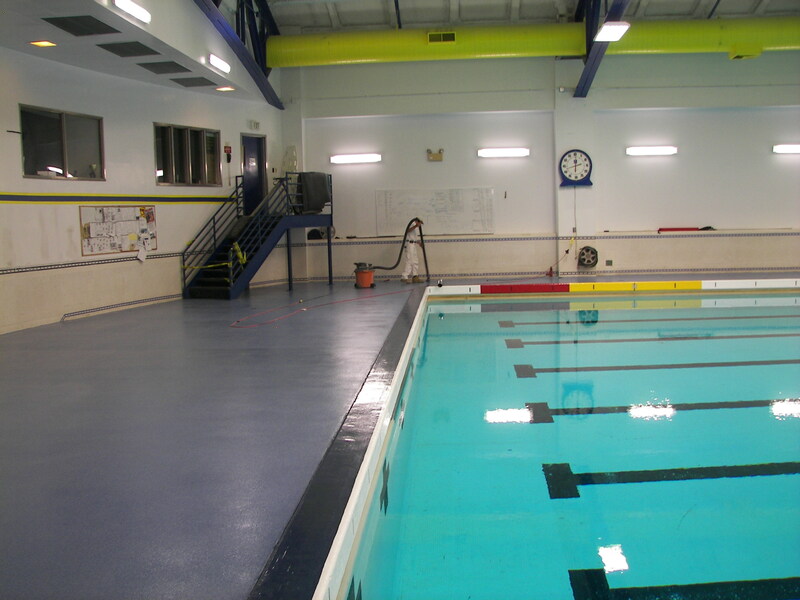 Approximately 35,000 square feet of flooring surface has been prepped and coated to date. To promote adhesion of the new Dur-a-Flex resinous floor system, the existing surfaces were prepped via Blastrac and perimeter grinding. Surface cracks were prepped for patching. All holes, cracks and divots were then patched using standard methods with flexible and 100% solids epoxy fillers. Painstaking detail was used in preparing the surface for the resinous system to assure a smooth finish and quality product. A fast-curing epoxy coating was applied immediately followed by the first broadcast of decorative vinyl flakes. To meet the critical time line, six hours later a second epoxy coat was applied followed by the second broadcast of decorative vinyl flakes. A 100% solids clear epoxy grout coat was then applied to lock down the vinyl flakes. Application of a full clear topcoat of Armor Top Satin sealed the floor and completed the Dur-A-Flex double-broadcast vinyl flake epoxy floor system. The new flooring system achieved one of the Arena's goals of matching the facility's existing terrazzo flooring. The new seamless flooring is behind the pillar in this photo, the terrazzo flooring is in the forefront.